There’s nothing more important for a startup than building the right foundation, and choosing a great domain name is the cornerstone of an online business. “Brainstorming was the way I came up with our name. I then eliminated the ones where the URL was not available or didn’t speak to the industry. After that, my list was only 2 to 3 names. We wanted something that wouldn’t limit us to just lawn mowing but other household services as well. “You don’t have the money to market and brand yourself like Uber, Geico and Apple. So the rule of the day is come up with some self explanatory domain name. Get to the point. “Make sure your primary domain name matches your business name, and make sure you purchase close variations if they’re available. An example of this would be purchasing mybusiness.com, and also mybusiness.net, .co, .us etc. “Hi John, I started a global branding company 15 years ago and we do a lot of naming work for our clients, the first step is to create the committee or team in charge, identify who else should be involved in the process and then set the criteria. “Once these are confirmed then you can start the process. We have many exercises to help generate names and a process to pare them down and test for a winner. It is a lot of fun and harder than it looks. “For my company when I started the firm I jokingly referred to the women as the Marketing Mavens & the guys as the Marketing Moguls & for short I called them Mavens & Moguls as a working name but never expected it would stick. 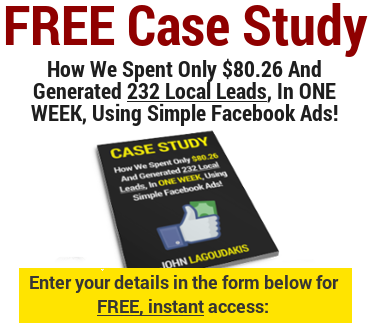 “I did research over e-mail with prospective clients, referrers, media, etc & tested ~100 names. Mavens & Moguls was one choice on the list & to my great delight & surprise it came out as a clear winner. It has helped us be memorable and stand out from the pack. “Because I have a hyphenated last name half the battle is for clients to be able to find you when they need your help. I have had clients tell me they could not remember anything other than my first name & one word of my company so they googled Paige & Mavens and we popped right up. “I was at an event one day and a venture capitalist started waving in my direction and shouted “Hi Maven!” across the crowd, everyone looked my way and we ended up getting introduced to a portfolio company that hired us! “Names contribute to your brand and in our case I think it has been a major plus. Maven is Yiddish for expert and a Mogul is someone of rank, power or distinction in a specified area. I like the alliteration and I think it sets us apart from other consulting firms. “It shows a little personality & attitude and implies we do not take ourselves too seriously. Would you rather hire Strategic Marketing Solutions or Mavens & Moguls? “There are a lot of things to consider when choosing a great domain name; length, uniqueness, competitive landscape, etc… But no matter how creative you are, if you fail to research your potential new domain name, you could be buying a dead horse. “I recently worked with a company who owned a .net top-level domain name. They tried to purchase the .com TLD name for years, but it was owned by another company. Once it was available, they jumped at the chance. It wasn’t until after they migrated their site to the new TLD that they realized, the previous owner was sketchy at best. “Their new .com URL had spammy backlinks all over, now pointing directly at them. Luckily, the previous owner, while sketchy, wasn’t super active. The damage was small. They were able to disavow and overcome the negative SEO impact over time, but it could have been a lot worse. “It’s difficult enough to gain page rank with a new domain name. It’s painful if not impossible with a used and abused one. 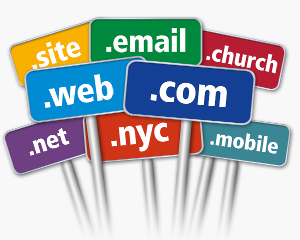 “There are so many domain names now taken it’s almost impossible to find what you want! Recently we have been advising companies to get creative with their names by using varying degrees of urls. For tech companies we have recommended domains ending in .io This seems to one of the trendiest shifts in domain names. Another piece of advice is to add a verb onto the name for example get or buy. E.g. Mississippilaketoursandcharters.com. Is not only pretty long but it’s almost hard to spell to the average person. You want to make it have some easy to spell words. E.g. Supershuttleexpressservices.com. Has 2 letters that touch each other, if you miss one of these letters it could take you to a whole different site or not a site at all. “As a small business owner and an attorney who advises small- and medium-sized businesses, I know a lot about the common legal issues these entrepreneurs face. The biggest mistake I see is when the word, logo, phrase, tag line, slogan, etc. is not cleared for use by a trademark lawyer. “Often, entrepreneurs think of a great trademark and start using it without the proper clearance searches to ensure the name is not already taken. This is a totally separate (and misunderstood) process from forming a LLC or Corporation with a Secretary of State, or purchasing a domain name. “When selecting a domain name, first and foremost, never include a trademarked name, such as sellyouriPhone.com. “One thing you should do is use a domain name generator, or if necessary, purchase a domain name that is already taken that perfectly fits your company. Domain name generators allow you to enter keywords and phrases directly applicable to your business, and create multiple domain names for your consideration. Recently I found a great website (ExpiredDomains.net) that lists recently expired, and available domain names! On this website you can find great domain names which owners have decided not to re-register. Domain names as short as 6 letters long. Tip: You’ll have to go back a few weeks to find domains that are ready to register right now. When you’re ready to register your domain name, I recommend you use Namecheap as your domain registrar. Its the service I use to register all my domain names. I want to create a blog site. So that, How can I select the best domain name. please give me some tips? Hi Ozzietel, what is the niche it is in? I couldn’t agree more when you said making sure that your domain name isn’t hard to spell for everyone to have an easy recollection and be able to type it easily on the address page. Choosing a creative domain name may just be the first step in being able to market your company’s brand, so it’s best that you come up with a simple domain but would really catch the attention of the public. Also, you may want to make sure that your domain name wouldn’t be involved in any legal trademark issues. You certainly don’t want to be involved in legal complaints because someone else is already using the same domain. If I were to put up my own Spanish domain, I would make sure to keep this in mind. Thanks. Trendy names such as website design 2018 are easier to rank but once the year is gone website starts looking old and it also affects it is ranking. I would agree with your point of making domain main easy to pronounce for common people but such domains are hard to find.